First, the steel structure plant can better meet the requirements of flexible separation between the large openings of the building than the traditional buildings, and can improve the area utilization rate by reducing the cross-sectional area of the columns and using the lightweight wall panels, and the effective indoor use area is improved. 6%. Second, the energy-saving effect is good. The wall adopts light-weight and energy-saving standardized C-shaped steel, square steel and sandwich panel, which has good thermal insulation performance and good earthquake resistance. Third, the steel structure system used in the construction of the plant can give full play to the good ductility of the steel structure, strong plastic deformation ability, excellent seismic and wind resistance, and greatly improve the safety and reliability of the plant. Especially in the case of earthquakes and typhoon disasters, the steel structure can avoid the collapse of buildings. Fourth, the total weight of the building is light, and the steel structure residential system is light in weight, about half of the concrete structure, which can greatly reduce the basic cost. Fifth, the construction speed is fast, the construction period is at least one-third shorter than the traditional residential system, and one 1000 square meters only takes 20 days, and five workers can be completed. Sixth, the environmental protection effect is good. The construction of steel structure houses greatly reduces the amount of sand, stone and ash. The materials used are mainly green, 100% recycled or degraded materials. When the building is demolished, most of the materials can be reused or degraded without causing garbage. Seventh, flexible design. Large open room design, indoor space can be divided into multiple programs to meet the different needs of users. Eighth, in line with the requirements of green production and sustainable development. 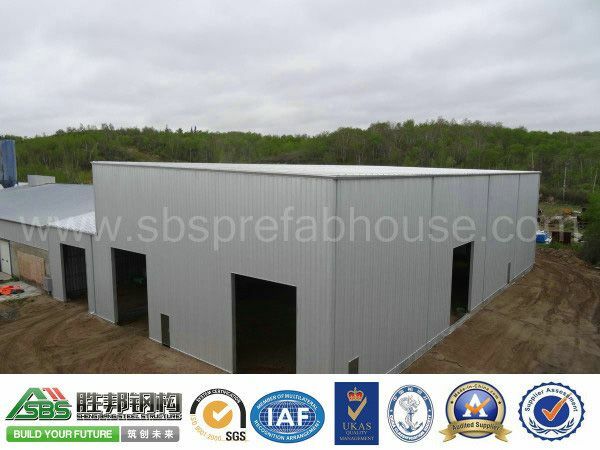 The steel structure is suitable for mass production in factories, with high degree of industrialization, and can integrate advanced products such as energy saving, waterproofing, heat insulation, doors and windows into one, complete application, integrate design, production and construction, and improve the level of construction industry.